learn New Facebook app not working on iPhone 4 issue. Sometimes the number one Social media apps not working with iPhone or iPad Air, iPad Mini after new updating, so something’s not working with Facebook app, check sure that first, you have to up to Facebook app version in your iOS device (iPhone 4, iPhone 4S, iPhone 3Gs,iPhone 5 or iPad Mini, iPad Air). 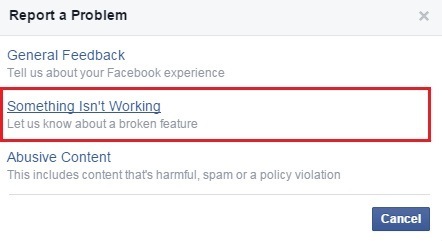 In some cases, Crazy FB users lost his or her Facebook message or conversation accidently delete and they want need back then it’s possible though recover accidently lost messages on Facebook. Have you ever issue of Facebook app crashing, Facebook closing out the home screen, or Facebook hang after starting well. Follow beneath steps to solve New Facebook app not working on iPhone 4. Step 2. if, it’s updated then go steps 3 otherwise update from the App store. Then give a report to Facebook. 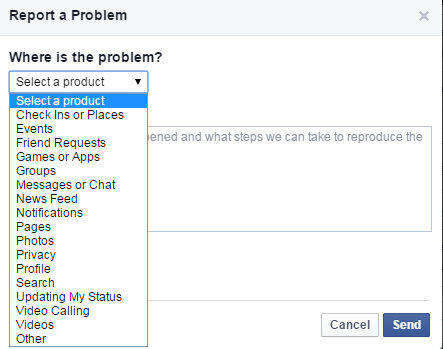 Let if you’ve no idea about – How to report a problem with Facebook from your iPhone or iPad? follow beneath steps. Step 1. 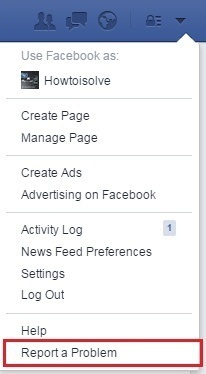 Click down arrow icon on top right side corner of your Facebook Page. Step 5. Text in your report into what happened box? That’s it. Note –This is the process for only reporting broken issue not abuse or spam matter. We hope, this tutorial on New Facebook app not working on iPhone 4,4S, 5 become most useful for you.